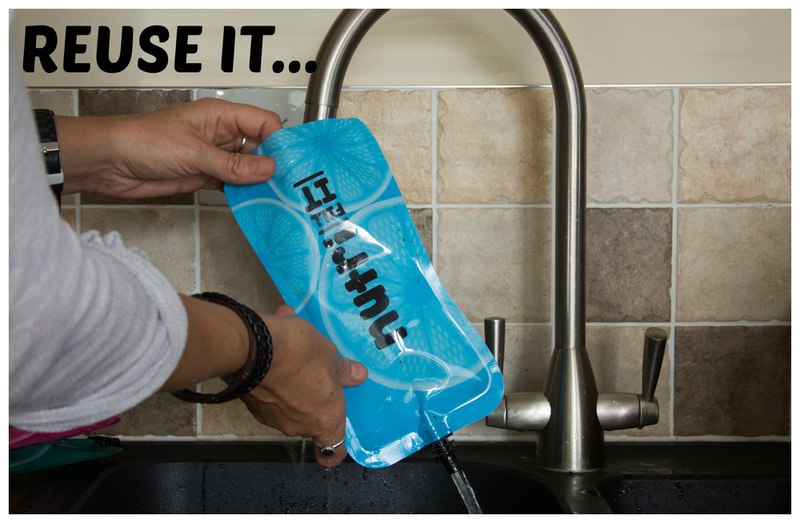 Nutri Fill-It pouches are designed to hold 300 mL up the max fill line. We don't recommend over filling as this can result in leaks. Remove the lid and place it in the cutlery tray. Open the zip loc and place 2/3 prongs into the bottom of your pouch (on the top shelf) to keep it open. Wash as normal. Please note Nutri Fill-It has been tested with residential dishwashers on standard cycles and has not been found to damage the pouch. Extreme heat will degrade the pouch over time so we recommend that where possible you hand wash or use a cooler cycle to maintain the life of your pouches. How do I store Nutri Fill-It when not in use? Dry your pouches with the zip lock open and the lid off. They can be placed with the bottom open on a draining board or in the sun to dry naturally. Alternatively a dry bottle brush and a tea towel can be used. 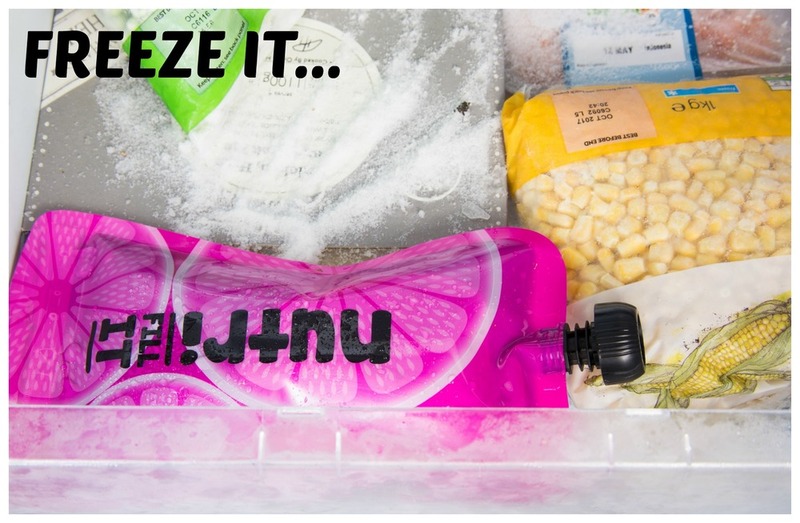 Store your pouches (where possible) with the zip lock open and the lid off to enable them to air. Can I use it for Water / Other Drinks? Technically the pouch will hold liquids but we don't recommend it as the spout is intentionally wide for smoothies and can result in fast flow and a soggy front! The pouch has been rigorously tested by both children and adults and has been found to be leak-proof. The pouch is designed to be very durable and only the highest quality plastics have been used. Do make sure the Double Zip Log has been completely secured and that the lid is on firmly. Once you have done this you can pack a worry free snack! How many times can I re-use? The pouch is designed to be used up to 100 times with the right care (i.e. regular washing and air drying). If you have a problem with your pouch please Contact Us here.